Investment in Norway's oil sector is expected to fall from it peak of $32.5Bn this year to $28.9Bn in 2015 before levelling out for four years, according to the Norwegian Oil and Gas Association. The Association’s manager for economics Bjørn Harald Martinsen said investment after 2015 will lie between $28Bn and just over $29.4Bn per annum until 2019 as energy firms continue to work on relatively profitable projects. The Association’s latest business trend report points out that over the past year oil companies have reduced capital spending after a decade long boom due to rising costs and falling oil prices in recent months. 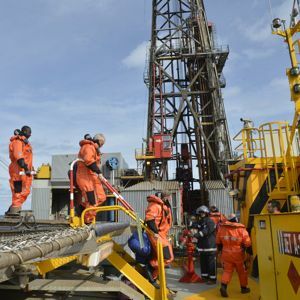 But Mr Martinsen said several of the oil and gas fields coming up for development remained attractive projects despite oil prices falling 30% since the end of June. Among them is Statoil's Johan Sverdrup field, which analysts say could contain up to 2.9 billion barrels of oil. The report adds that following the postponement of a decision on an impact assessment for the waters off Lofoten and Vesterålen until 2017, much of the future for Norwegian petroleum activities will lie in the Barents Sea. “As early as our report for 2012, we assumed that 2014 would be a peak year because a number of the large producing fields on the Norwegian continental shelf were then set to complete their biggest modifications,” Mr Martinsen said. Nordea Markets chief analyst Erik Bruce noted the Association’s report argued the investment fall would be less than feared, even with oil prices down to $85 per barrel. He added this was an indication that Norges Bank will downwardly revise its forecast for growth in the sector in its upcoming December report.